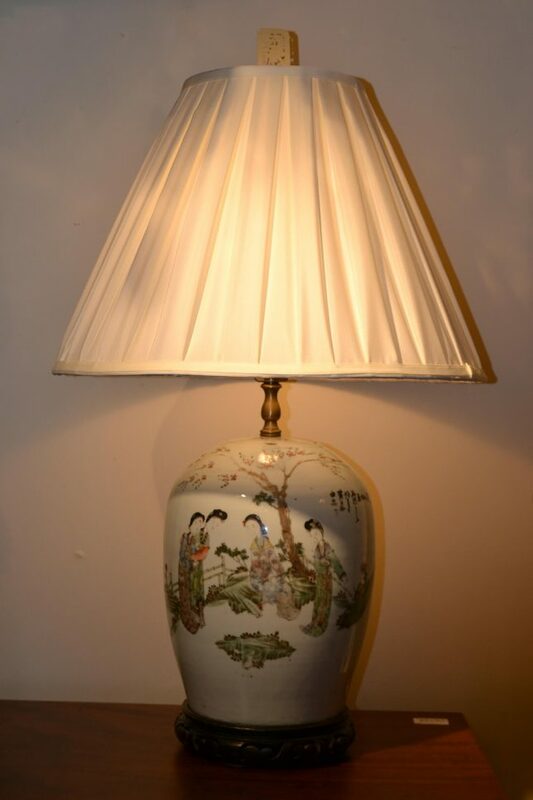 Chinese, late 19th century porcelain jar with figural decoration now as a lamp. Minor chip to lid rim. Overall h. 29″. Jar h. 12.5″, d. 8″. $295 complete.